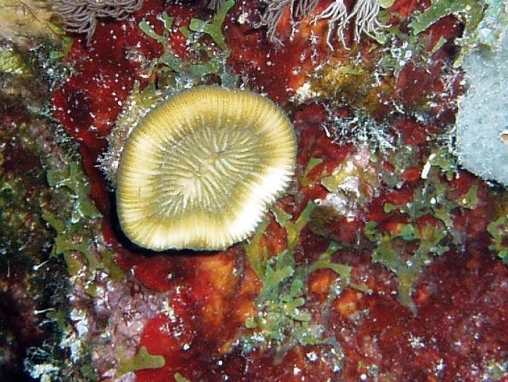 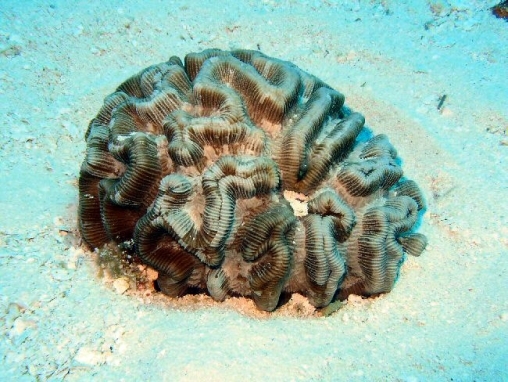 Brain coral, small colonies, but very broad and deep valleys. 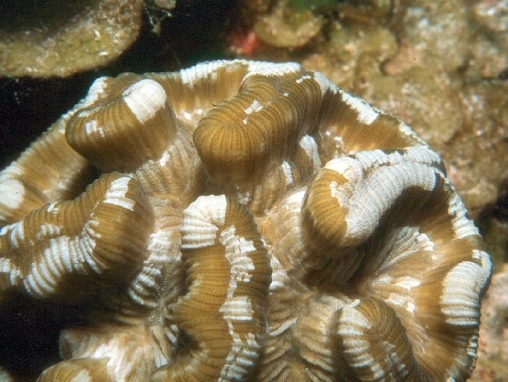 Many colonies consist only of one valley, sometimes with a few short side lobes or side branches. 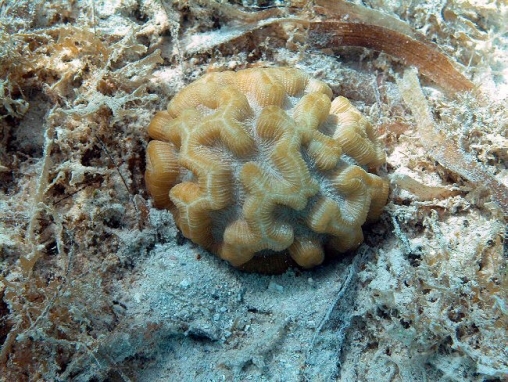 Many are not attached to the substrate. 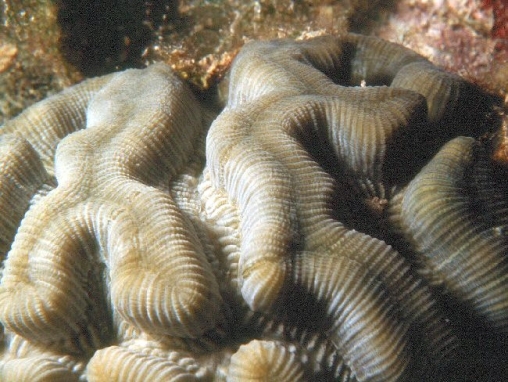 Where colonies have several valleys, there is usually a groove along the tops of the adjoining walls. 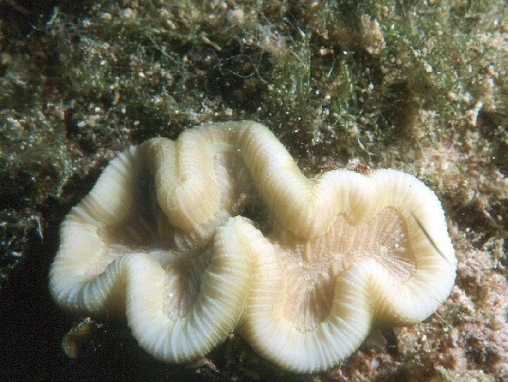 It could be confused with a small Colpophyllia which has more spaces between the septa and a discontinuous (trabecular) columella along the valley floor. 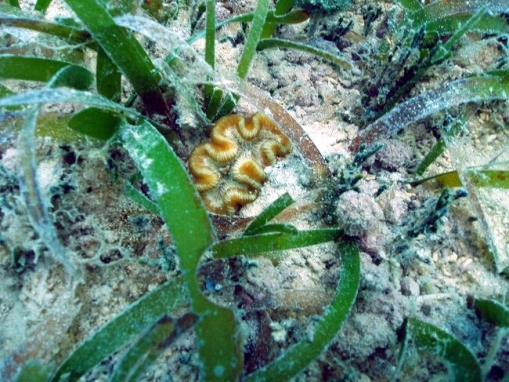 Colonies commonly occur in seagrass, rubble or even sand. 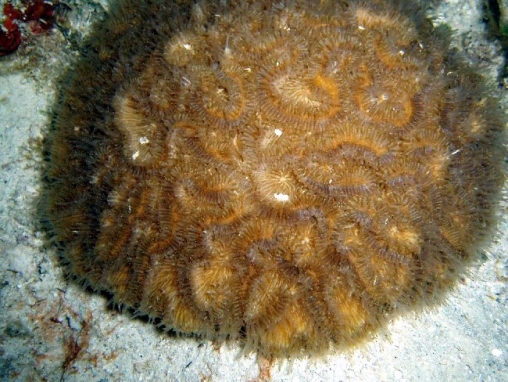 The attached form may be a distinct species, M. mayori, and the final photo of an example with extended polyps may be this species (EW).